If you were injured on the job, you may need a construction accident attorney to help you file a claim. Construction sites can be extremely dangerous. Accidents often result in serious injuries. You may be unsure of your legal options after an accident on a construction site. Call Russell & Lazarus APC today. According to the Bureau of Labor Statistics, there are an average of 800 fatal construction accidents nationally each year. At the same time, four percent of all construction workers suffer injuries annually; that is thousands of men and women hurt on the job. 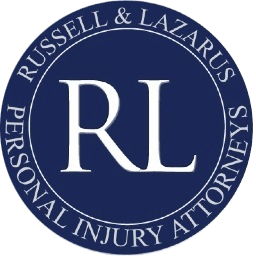 It can be difficult to wrap your head around these upsetting statistics, but at Russell & Lazarus, we understand that each injured construction worker has serious concerns about his or her health, finances, and family in the wake of an accident. If you are a construction worker who has been seriously injured in an on-the-job accident, it is critical that you know your legal rights, understand your case, and have an Orange County construction accident attorney on your side, who will make certain you get what you deserve. Many of these injuries can result in the inability to work, long-term disabilities, and a seemingly unending stream of medical bills. Some of these injuries can take time to develop. For example, you may feel fine, but have a concussion. Symptoms of a concussion can take days to appear. It’s important to get medical attention immediately after a construction accident. If you have questions about medical treatment, contact a construction accident attorney. Construction sites are an array of moving parts. You may be injured anywhere on a site. A construction accident attorney can evaluate your situation and help you determine what was unsafe on your site. Who is responsible for my medical bills and lost wages? How will I support myself and my family while I recover from my injuries? Can I receive California workers’ compensation in addition to filing a claim? Could a third party other than my employer be responsible for my injury — like a contractor, equipment manufacturer or property owner? What should I do if my construction accident was caused by someone else’s negligence? What if my construction accident was caused by unsafe conditions? What should I do if my construction accident prevents me from working in the future? How long do I have to file a lawsuit following a California construction accident? How much does it cost to hire an Orange County construction accident lawyer? A construction accident and injury can have a huge impact on your daily life, your career, and your finances. A serious injury could leave you with chronic pain, disabilities, and ongoing medical needs. At the same time, an injury could mean weeks, months, or years without returning to work and without the means to earn a living. It is only fair that the people, companies, and entities that are at fault for your accident take responsibility for damages. What Options Do Injured Workers Have? If you are injured on a construction site, you may have multiple legal options. You may be able to file a workers’ compensation claim, or you may be able to file a personal injury lawsuit. A construction accident attorney can help you determine which legal option is best for you. Workers’ compensation claims allow you to quickly file a claim and get your medical bills and other expenses paid with less stress. However, workers’ comp doesn’t usually cover all of your losses. It usually only pays part of your lost wages. A workers’ comp claim may be expedited and you can often get your bills paid quickly. However, when workers’ comp claims are denied, they can be extremely complex to navigate. A construction accident attorney can help you file and appeal a workers’ comp claim. You may also choose to file a personal injury claim. If someone other than a coworker or your employer caused your injury, then a construction accident attorney can help you file a personal injury lawsuit. This type of third party claim will allow you to recover all of your losses. You may even be able to file both a workers’ comp claim and a personal injury lawsuit with the help of a construction accident attorney. Many people pass by construction sites on a daily basis. Construction sites can be extremely dangerous to pedestrians and other non-workers. In many situations, contractors, property owners, or others may be responsible for an injury that occurs on or near a construction site. A construction accident attorney can evaluate your situation and help you determine if someone was negligent and caused your injuries. It’s best to consult with a construction accident attorney before accepting a settlement from an insurance company, employer, or construction company. Many of the injured workers we speak with at Russell & Lazarus APC feel overwhelmed, unsure, and frustrated. Let us take the burden of your accident off of your back. By working with one of our Southern California accident lawyers, you can stop worrying that you aren’t doing all you can in the wake of your injury. We will make certain that you know your rights and legal options. To get started today, contact us to schedule a free, private consultation. Call our office at (800) 268-9228, or request a meeting by filling out the short form on the right side of this page.